In last few years you may all must have come across the word Cloud Computing. Nowadays Cloud Computing (also called "Cloud") is one of the emerging technology in IT industry. 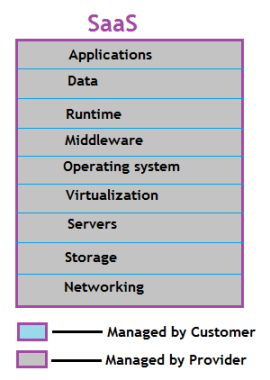 You must be eager to know "What is Cloud Computing ?". Cloud Computing or simply called "The Cloud" is the way to deliver resources over the internet on demand. Cloud Computing is the modern alternative for on-premise servers. 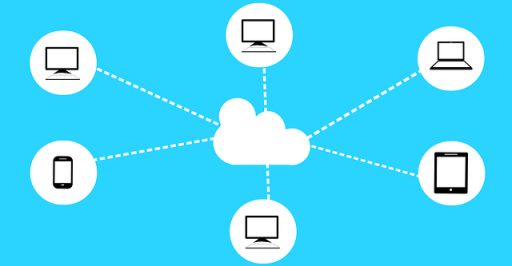 Cloud Computing is the concept of sharing resources over the internet rather than utilizing the local hardware. Cloud Computing is an internet-based computing using which you can avail on-demand resources over the internet. From Application to Data Centers, from Storage to Database everything is available over internet on-demand. Cloud Computing can be referred to the IT environment which is designed to use remotely for the purpose of scalability, security, and performance. An end user need not worry about physical infrastructure. Companies which offer these services are referred as Cloud Service Provider. Microsoft offers it's own cloud service with the name Microsoft Azure, Amazon is offering same as Amazon Web Service, these are 2 big players for Cloud Service Providers. A customer is charged as per the resource used similarly to a mobile bill and electricity bill; means whatever you have used just pay for that. Gmail, Hotmail, Google Drive, Dropbox are the best example of cloud, here we are utilizing our internet only and not any storage or application related to that email program, these all are stored in the cloud. No matter what device we use our data will be same across the devices. Remember, Cloud Computing is not only for storage, The boundary of Cloud is beyond that which includes Server, Storage, Network, Database etc. Before Cloud, organization planning to expand their IT Infrastructure used to have many concerns like acquire hardware, need extra space, deployment, implementing the same, downtime in productive hours etc. Cloud Computing has helped organizations to expand their IT Infrastructure without expanding their on-premise environment. Similarly, Microsoft announced its own cloud computing service, Windows Azure later it was called Microsoft Azure. Other big names in cloud computing are Google, VMWare. 5. What are benefits of Cloud Computing? One major benefit of using cloud computing is that organizations can avoid the upfront cost and complexity of maintaining their own IT infrastructure, instead simply pay for what and when they use it. Maintaining/purchasing own hardware and software have always been very expensive. You need manpower resource to install, configure and maintain your resources. A local computer no longer have to lift all the burdens of application performance, network speed instead a local system needs an internet connection only and rest is taken care by cloud providers. Among numerous advantages of cloud computing I, have listed few advantages of cloud computing below. Cost Effective - Cloud computing reduces the expense of buying hardware, software and maintaining them at on-premise data center. Pay for what you use - Pay only for those resources which you want to use. Easy Scale up and scale down facility - Cloud Computing gives you the facility to configure your servers for high level uses and low level uses. These changes can be done in an easy way. Data Center security - Cloud Computing provides data backup, disaster recovery with effective cost. Performance - With Cloud Computing your application never goes down. Cloud Computing reduces network latency which boosts the performance of your application or website. Updated Hardware - Need not have to worry about what sort of application/services you are hosting on the cloud because the hardware like RAM, Processors etc that you are using, will be automatically updated to the latest one. Apart from all advantages and benefits, there are few limitations of Cloud Computing. Private Cloud - Private Cloud is a type of cloud computing which is dedicated to an individual or single organization. It provides all the features of Cloud Computing like Scalability, Security. 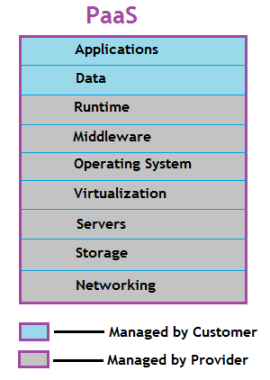 Public Cloud - This is a Shared Cloud. Public Cloud also has same features like Private Cloud but instead of Single Organization Public Cloud is dedicated to multiple Organization. Hybrid Cloud - As the name suggest Hybrid. It is the mixture of On-Premise, Private Cloud, and Public Cloud. 8. 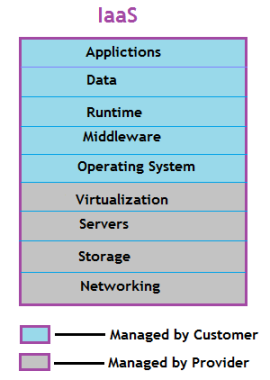 What is Cloud Computing Stack or Service Model? Cloud Computing services can be categorized into 3 types, first one is Infrastructure as a Service (IaaS), Platform as a Service (PaaS) and Software as a Service (SaaS). As the name tells IaaS packages include networking, storage, virtualization. And for customers, it covers Operating system, Middleware, Application. It can provide dynamic scaling at an advanced level of services. In IaaS, the vendor runs and manages server farms running VM. 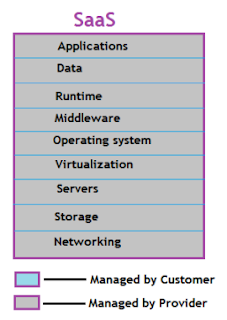 You don't have access to Virtualization, Networking but you do have access to Middleware, OS, Application. In PaaS, a customer is responsible only for the Data and Application, rest of the things like OS, Server, Virtualization, Networking, Middleware is taken care by the provider. It allows IT companies to focus on business solutions and not on IT infrastructure. A PaaS vendor provides the ability to deploy and run the application hosted by a development team. Can have a private or public cloud, based on demand. In SaaS, providers host the application and user interactions with the interface on a browser. In SaaS, a customer never worries about storage, application. Only the SaaS provider is responsible for everything. The vendor takes the complete responsibility for the entire system. Office 365, Google Docs is the example of SaaS model. Login/Sign up and start accessing business apps. Connect your work from any computer or device. No need to maintain, purchase any software. 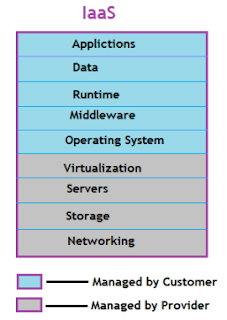 You may see the differences in IaaS, SaaS, and PaaS in below diagram. There are many things around us which are cloud-based which we don't realize at the time of use. If you watch movies online, listen to music, store pictures, documents and any other files everything is possible due to Cloud Computing. Today, Cloud Computing has transformed IT sector completely. Millions of organizations around the globe rely on Cloud Computing. ASP.Net Core makes it easy to develop and deploy web apps into Microsoft Azure cloud service. Cloud Computing or Simply 'Cloud' refers to a new IT environment designed for the purpose of providing scalable and robust IT infrastructure which will be used for data storage, application hosting and other IT stuffs. Cloud computing simply says 'Pay for only what you have used'. Hope you like this blog on Cloud Computing. Please share this blog in your groups. Watch a small video to know about Cloud Computing.